Health coach and bikini competitor Caroline Tusiuk swears by this delish recipe to combat her sweet tooth. 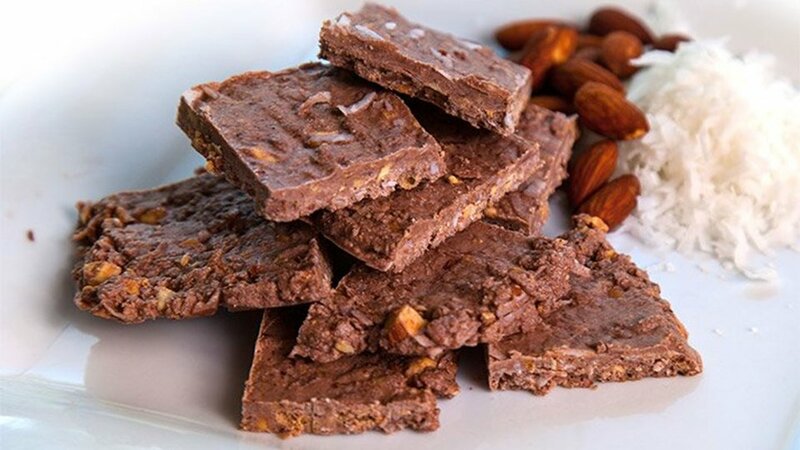 Prepared with crushed almonds and almond butter, this bark provides a hearty dose of healthy fats. Add in a scoop of protein powder in any flavor and you're looking at the perfect sweet treat for any low-carb diet plan. Melt coconut oil and mix with protein powder. Pour mixture on parchment paper and spread. Top with almond butter, crushed almonds, and coconut.